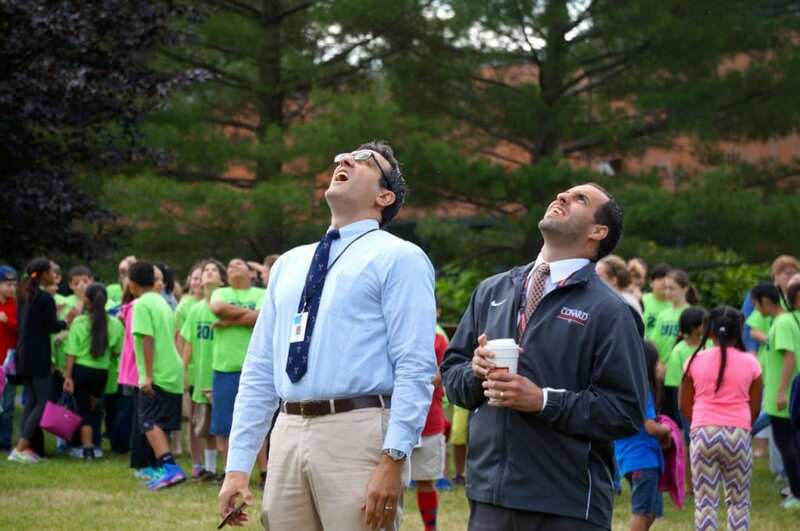 The community gathered at Smith STEM School Thursday morning to watch as teams from Smith and Conard High School released weather balloons. 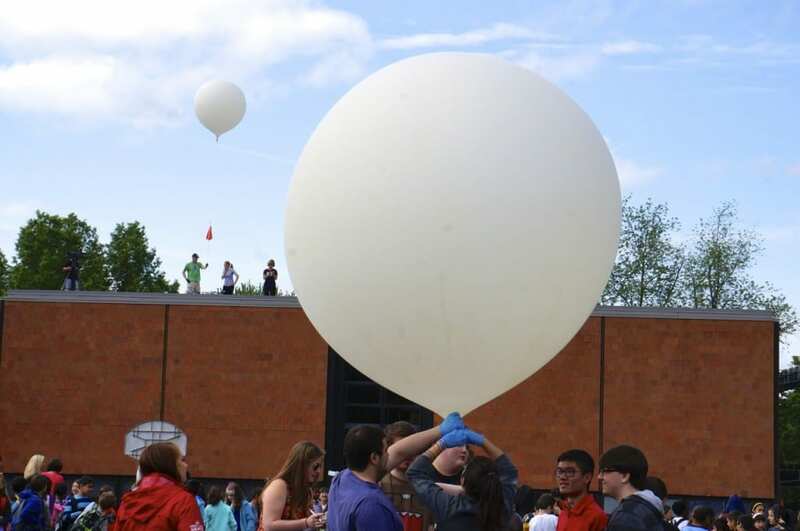 West Hartford Public Schools demonstrated hands-on enthusiasm for science and technology Thursday morning when teams from Smith STEM School and Conard High School came together to launch two weather balloons into the earth’s stratosphere. The students and their teachers are no strangers to the planning and logistics behind weather balloon launches. This is Conard’s third annual balloon launch, and Smith released a smaller balloon this past October. Conard’s balloon was created by the ACE (Astronomy, Computer, and Engineering) club. 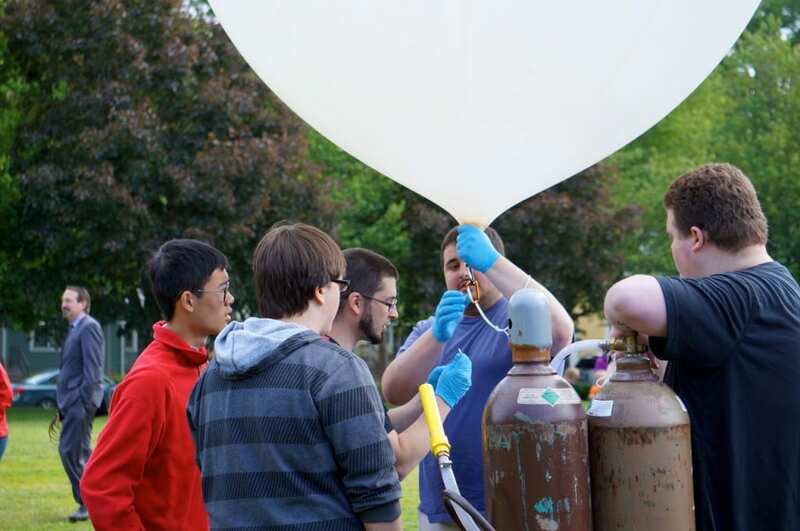 According to Vinh-Kha Le, a sophomore at Conard and a member of the ACE club, the balloon was built over the course of two months and was expected to ascend 22.7 miles to the middle of the stratosphere. Kathy Hardesty, the Quest teacher at Smith STEM, coordinated the elementary school’s balloon launch. 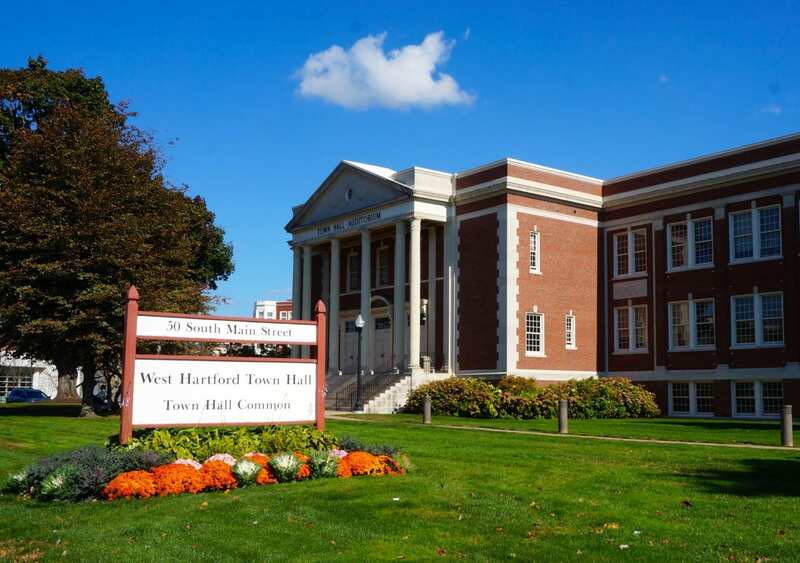 The Foundation for West Hartford Public Schools provided grant money for the balloon launches. Both balloons are equipped with a GPS system, enabling students and staff to track them on their journeys. 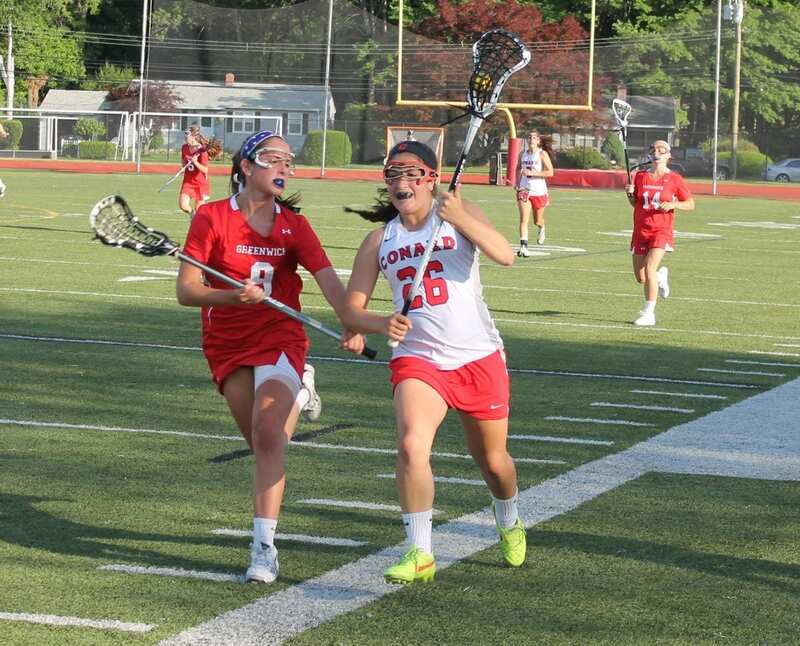 Smith’s balloon was released from the roof of the school, immediately followed by Conard’s release on the field. As spectators watched the balloons float up into the atmosphere, no one could say for sure what the project’s outcome would be. Anthony Truss, a technology education teacher at Conard, is the club’s advisor. 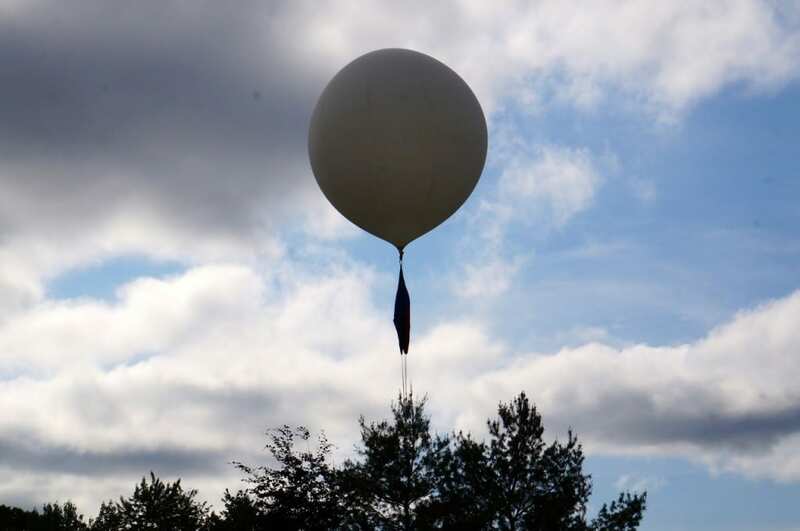 According to Truss, based on the direction of upper-level winds the club’s balloon was expected to land in the north central region of Connecticut, around Bradley Airport. Hardesty said she didn’t expect this balloon to go as far as the one launched in October, which landed near Clinton, MA. She predicted it would “probably land in Connecticut, within about 20 miles,” she said Thursday morning just after the launch. 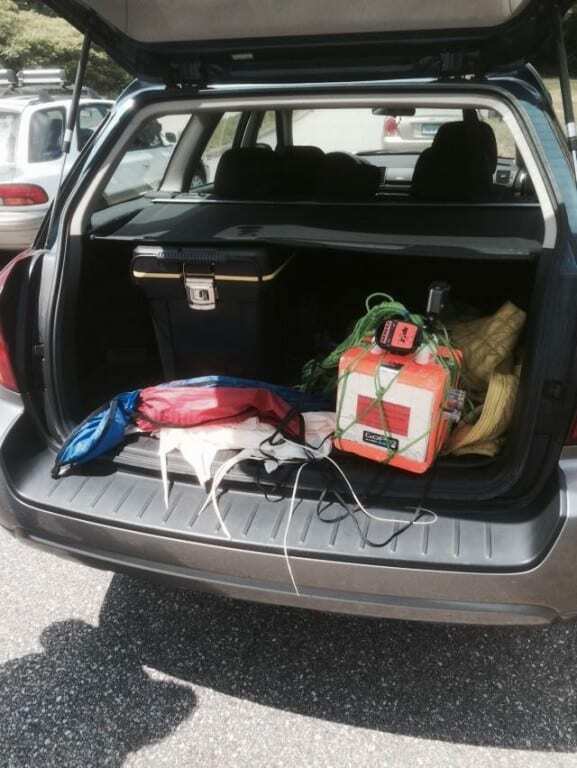 Last year Conard’s balloon was tracked over the Atlantic Ocean, floating over Martha’s Vineyard and as far away as Nantucket, but ultimately it headed back over land and touched down in North Stonington where it could be easily retrieved. 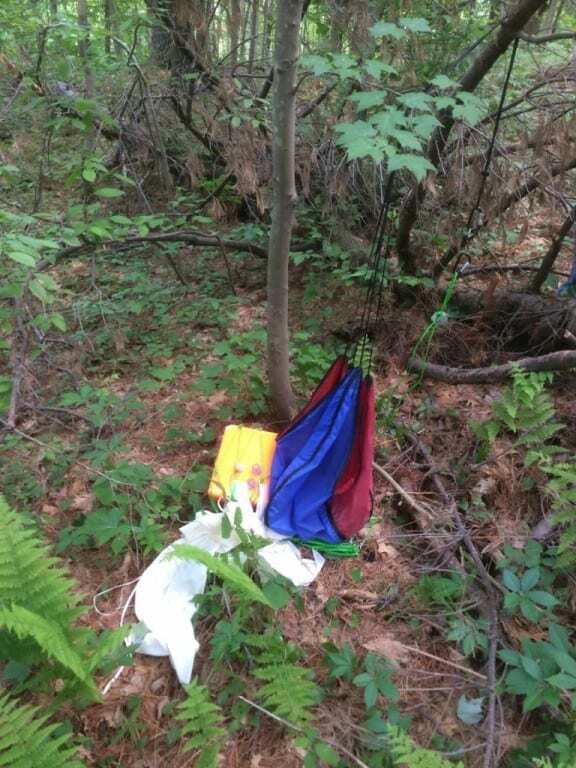 “Last year the balloon landed on a person’s property and was easy to locate,” said Truss. “I hope that we’re that lucky again this year,” he said before the launch. The balloons didn’t exactly follow the plan. Smith’s balloon quickly sprung a leak, and landed in a yard just a mile or two west of the school. 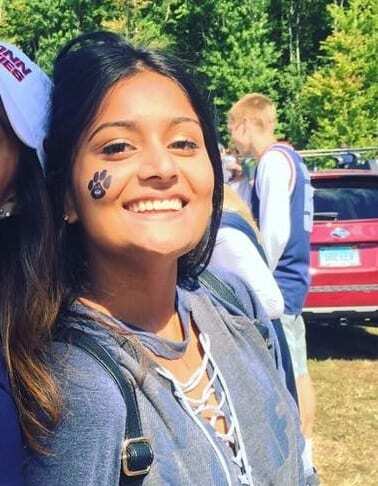 With some help from a West Hartford Police Department officer who retrieved the balloon from a surprised homeowner, it was relaunched successfully. 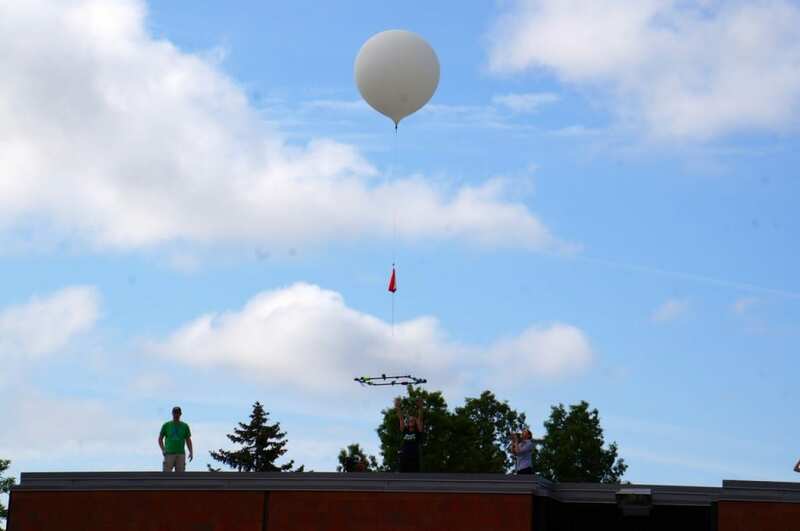 As Hardesty and her team tracked the balloon, it headed toward UConn, and eventually fell to earth – in what looked to be a thickly-wooded area on GPS. Unfortunately, it was stuck 150 feet up in the trees. 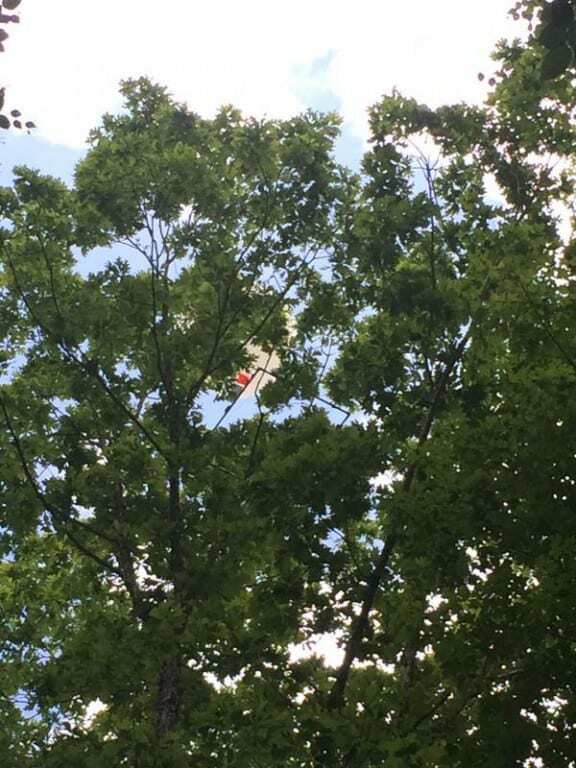 Hardesty said that although one of the trees was cut down to try to retrieve the balloon, it was still stuck in another and wouldn’t budge. 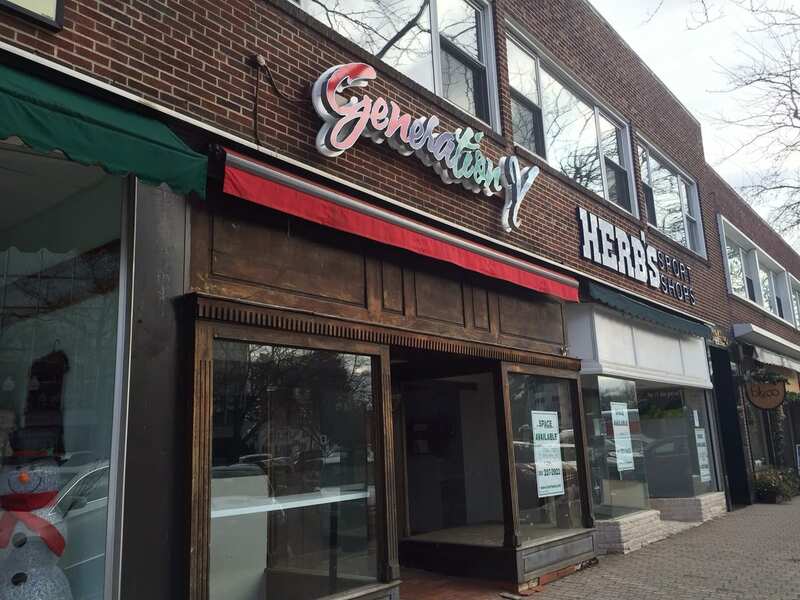 Early Thursday evening, she tweeted that it was finally down and the team was headed back to West Hartford. Conard’s balloon also headed toward UConn, and landed in Coventry, CT. 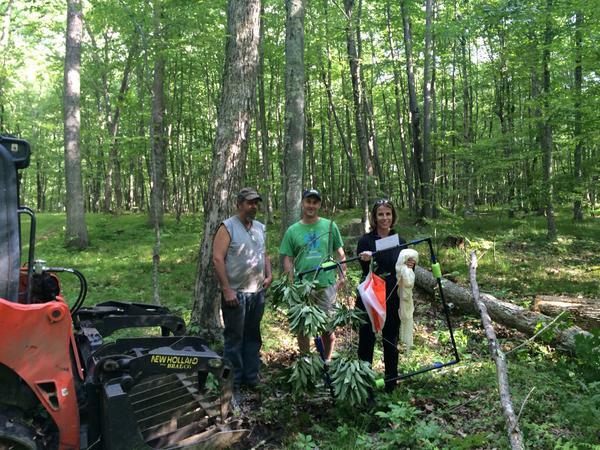 According to Truss, it took about an hour of pushing past thorns, poison ivy, and ticks, but they found it in one piece. 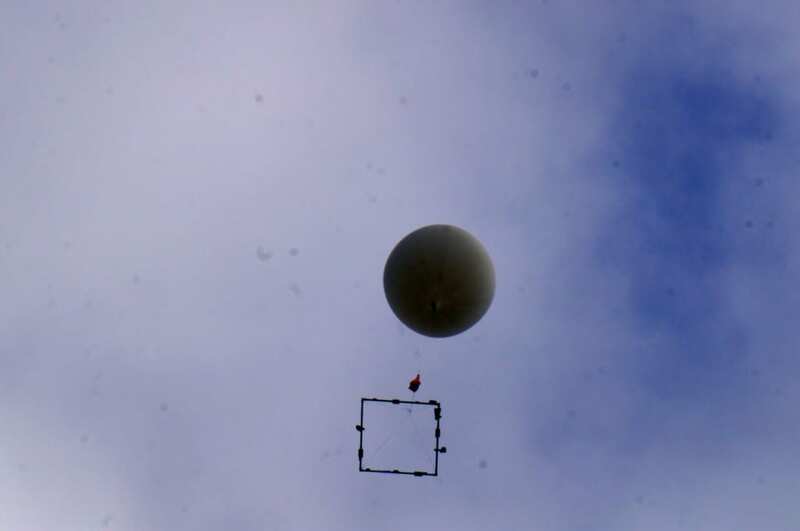 Each balloon carried a carbon square road, goPro cameras, and a parachute. These tools were used to collect data such as the balloons’ barometric pressure, temperature, time, humidity, and altitude. Smith STEM’s balloon had an additional payload, with each grade selecting an item to include on the “ride.” Hardesty said that crickets, a grape, a marshmallow, seeds, and a bag of chips, as well as a Lego figure were included as cargo. The students will then be able to take the data and derive their own scientific conclusions. “We’re not going to learn anything that hasn’t already been discovered, but it’s nice to discover it for ourselves,” said Truss. 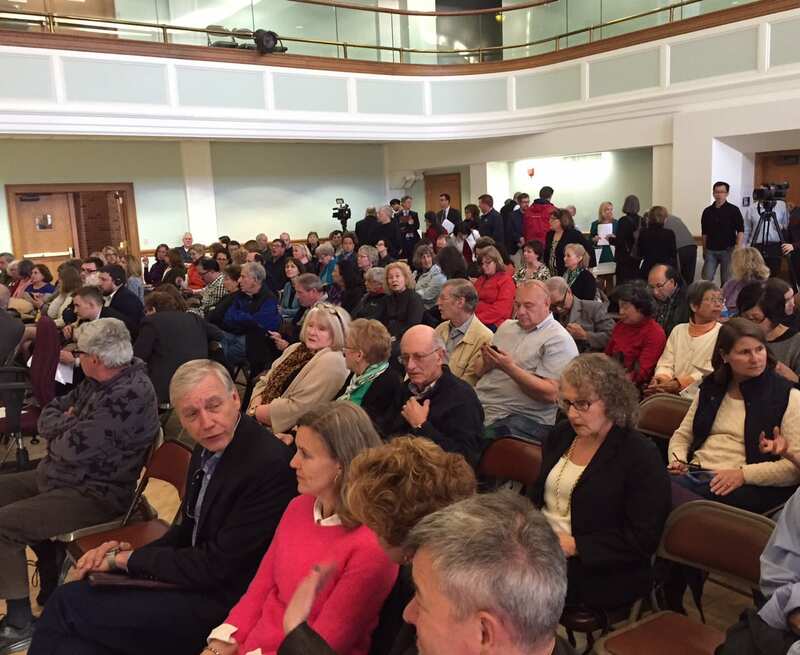 “The students are excited about bringing science to life,” Hardesty said. With this connection already made, putting the launches side by side was a no brainer. 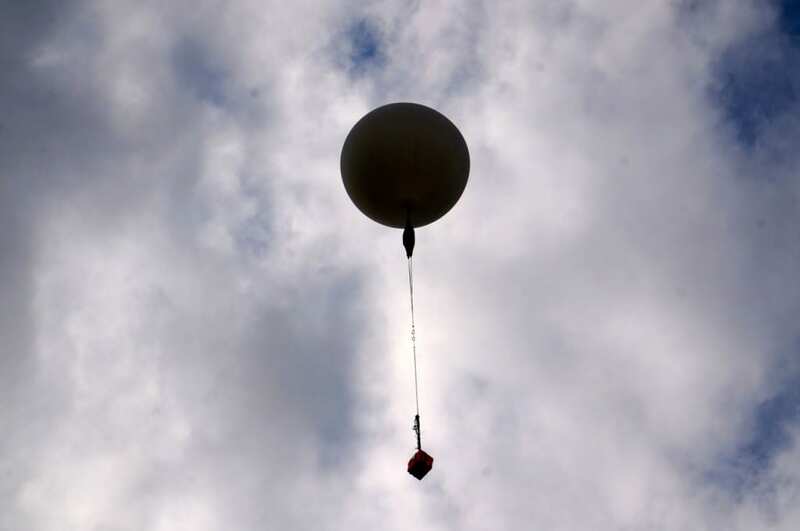 “The only difference between the balloons is that the elementary school launched a 600 gram balloon and the Conard balloon is a 1200 gram balloon,” said Truss. This will just affect how far the balloons travel.